The Westermost Rough Offshore Wind Farm is located in the UK approximately 8 km off the Yorkshire coast, near the town of Withernsea and is proposed to contain 35-80 turbines of 3-7MW capacity, covering a total area of 35km2. The bedrock geology across the wind farm site constitutes a significant design challenge for the jacket piles as the soil conditions throughout the surrounding region is composed of Upper Cretaceous Chalk. These soil conditions pose a challenge with respect to driving piles into the seabed. 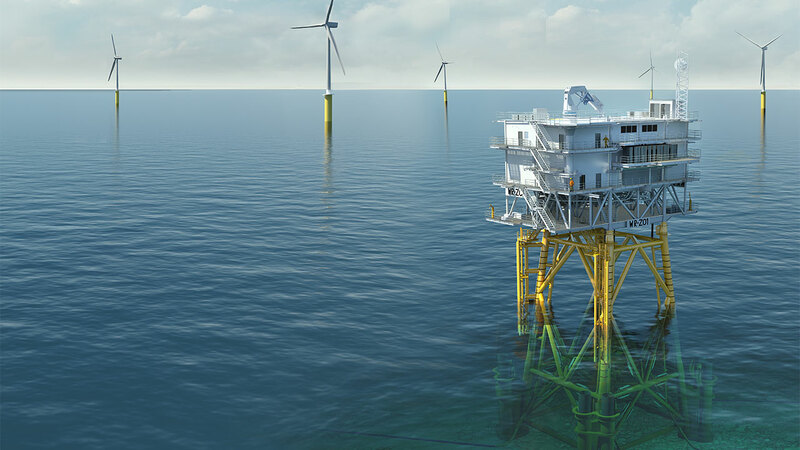 Ramboll has participated in other offshore wind farm projects at nearby sites and our experience from these locations contributed to selecting the right approach for the Westermost Rough offshore substation. The substation is designed for carrying equipment for high-voltage transmission and distribution and other facilities such as diesel generators, batteries and panels for wind turbine control. The platform consists of a steel topside installed on a four legged steel jacket supported by piles. The water depth in the area is approximately 16-26 metres and the water depth at the substation location is approximately 18.0 metres. It is estimated that the approximately 210 MW wind farm will be able to provide enough electricity to supply 150,000 British households. The final design is due in the spring of 2012 and the substation is scheduled for installation in 2014.